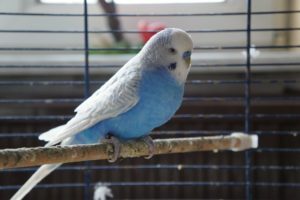 Can Parakeets Eat Blueberries ? Can Parakeets Eat Dried Fruit? Can Parakeets Eat Mandarin Oranges? To better understand if a parakeet can eat fruit, it’s good to know what they eat in the wild. Parakeets in their native habitat of Australia, mostly eat fresh greens, seeds and berries. In the wild a parakeet will have limited access to certain types of food depending on the season. Greens are available throughout the year, while seeds and berries are only plentiful for limited time periods. Their native diet indicates that parakeets can eat fruit, which mostly comes in the form of wild berries. For a pet parakeet this means that they can be given fruit sparingly as a treat. But the majority of their diet should come from a well rounded bird food and fresh greens for added nutrition. Fruits are great for adding variety to a parakeets diet, along with providing some added vitamins and minerals. Some of the important vitamins in fruits are vitamin C, A and K. Fruits also tend to be rich in minerals like potassium and magnesium. While most fruits are safe for a parakeet to eat, there are some to avoid. And even fruits that are safe for a parakeet to eat, need to be prepared properly for their safety. 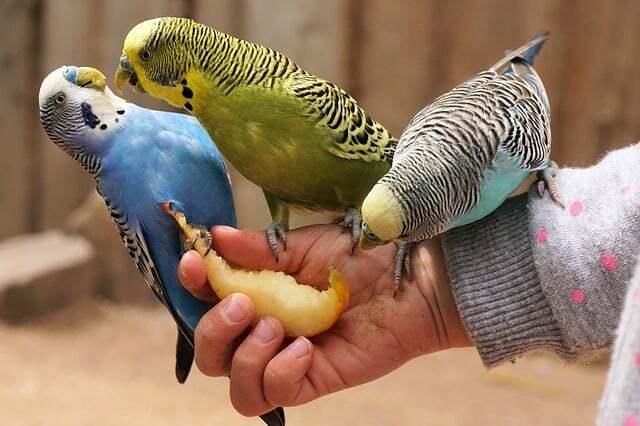 And when you feed parakeets fresh fruit, care should be taken not to let the fruit sit in their cage for too long. Fruit that is allowed to sit for a long period could potentially make a parakeet sick, or the fruit could attract fruit flies into your house. 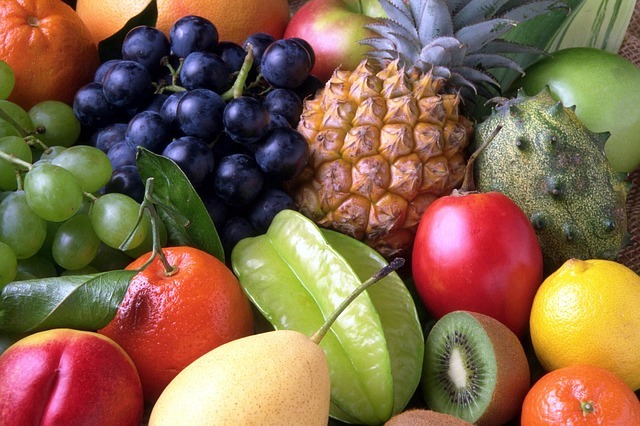 Here is a list of the most common fruits people ask if they can feed to their parakeet. Yes, parakeets can eat apples and most parakeets tend to like them. Even though apples are a safe fruit to feed a parakeet, they do need to be served properly so they don’t cause any harm. Never feed a parakeet an apple with seeds still in it. 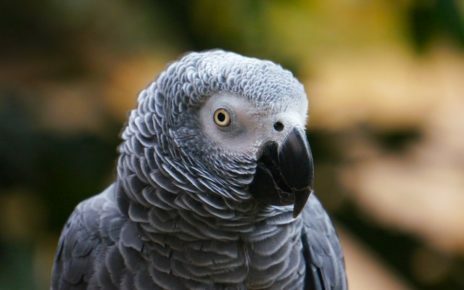 Apple seeds are poisonous to parakeets, due to the fact that they contain amygdalin, a compound that converts into cyanide once it enters the intestines. 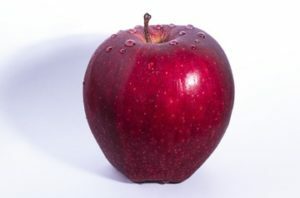 Apples should also be cut into small enough pieces, so they can easily be eaten by a parakeet. No, Parakeets should never be fed avocados, the skin, seeds and to a lesser extent flesh, are all toxic to most bird species that are kept as pets. 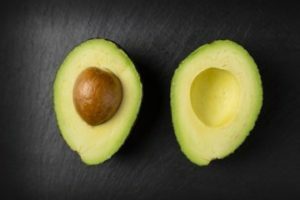 The symptoms of avocado poisoning a bird might experience are, cardiac arrhythmia followed by eventual heart failure. The safest thing you can do for your parakeet is to never feed them avocados. Yes, Parakeets can eat bananas and they make a great quick and easy treat. The best part about bananas is how easy they are to prepare for a parakeet. All you have to do is peel off the skin and it’s ready to eat. Since bananas are seedless there is no risk of the bird eating a poisonous seed. 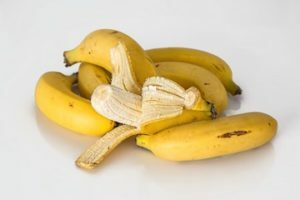 A whole banana might be to much for a single parakeet, you can break the banana into smaller pieces in order to reduce any waste. Yes, Parakeets can eat blackberries, and since they are berries they more closely replicate their native diet. 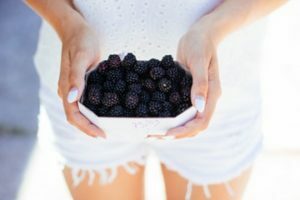 Blackberries are a perfect bite sized fruit to feed a parakeet, that require little to no preparation. Even though blackberries do contain seeds they are of no risk to birds, and will usually just pass right through. The only concern when feeding blackberries to parakeets, is that their droppings will be more likely to cause stains. If the bird is in their cage this shouldn’t be a problem, but if they are outside of their cage and on furniture this could be a problem. Yes, Parakeets love to eat blueberries. Blueberries are one of the best berries to feed a parakeet. One reason they are a favorite amongst parakeets is their size. Since blueberries are such a small berry a parakeet will be able to easily fit them in their mouth. 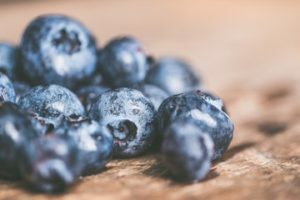 Blueberries are also very healthy, since they have very good vitamin C and antioxidant levels. 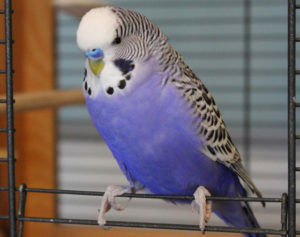 And the seeds found in blueberries are extremely small and they should not cause any problems for your parakeet. Yes, Parakeets can eat cantaloupe. Cantaloupe is a very nutritious fruit that is very rich in vitamin C and vitamin A. Obviously there will be some prep work when it comes to feeding your parakeet cantaloupe. The cantaloupe needs to be cut open and the seeds have to be removed before feeding it to your parakeet. 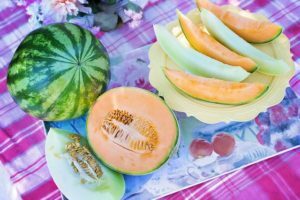 And while cantaloupe seeds are actually not poisonous, it is safer to remove them since they still could pose a choking hazard. Besides that just cut the cantaloupe into small enough pieces so they are easy to eat, and your birds should enjoy them. No and Yes, Parakeets may be fed dried fruit but this comes with caveats. While it might seem strange, that if the fruit is safe to eat fresh, why isn’t it when its dried. 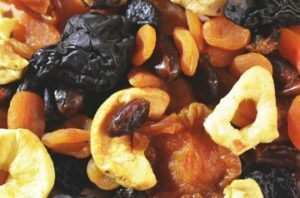 It all comes down to how dried fruits are prepared. In order for dried fruit to have a long shelf life, they are coated with sulfur to prevent mold and bacteria growth. And while humans can handle eating the sulfur most birds can not. 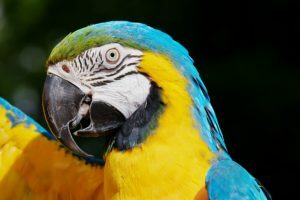 If you purchase dried fruit that is not treated with sulfur, and the fruit itself is safe to eat then yes you can feed it to your parakeet. 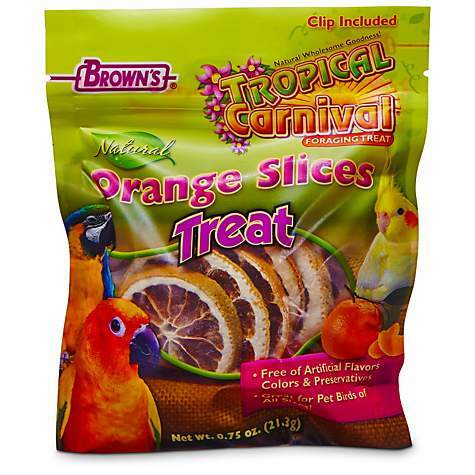 There are also specially made dried fruits just for birds available in pet stores. Or if you choose to you can even dry fruit yourself . Just remember to always be careful and read the labels when feeding dried fruit to your parakeets. Yes, Parakeets can eat grapefruit. Like most citrus fruits grapefruits will provide your parakeet with a good source of vitamin C. Preparing a grapefruit for a parakeet is pretty simple, first cut open the grapefruit and remove the flesh. The skin of a grapefruit should not be fed to a parakeet since it is quite tough and might choke them. All seeds should be removed from the grapefruit prior to feeding it to your parakeet. 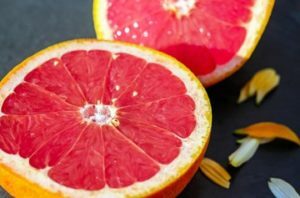 Grapefruit seeds like other seeds, can be poisonous since they do contain cyanide forming compounds. After the grapefruit is prepared just gather up the individual pieces and give them to your birds. Yes, Parakeets can eat grapes and they will probably love them. Grapes provide a good source of vitamin K and copper for your parakeet. 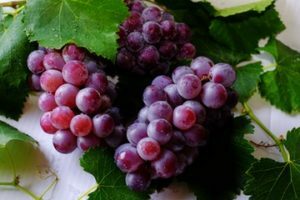 And the preparation of grapes couldn’t be easier, as long as they are the seedless variety. All you have to do is pop some of them off the branch, or give a bunch right to your parakeets. As long as the grapes are small enough to fit in your parakeets mouth, they should eat them right up. If you notice the parakeets having a hard time fitting the grapes in their mouth, try squishing them or finding a smaller variety of grapes. Yes, Parakeets can eat mandarin oranges. 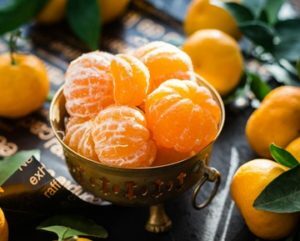 As with most citrus fruits they are safe to eat and are a very good source a vitamin C. Preparation of mandarin oranges entails peeling the orange and discarding the skin. Even though mandarin orange peels are not poisonous you should avoid feeding them to your parakeet. Once the mandarin orange is peeled separate the pieces of the orange and remove all the seeds. Mandarin orange seeds should never be fed to a parakeet since they contain cyanide producing compounds. 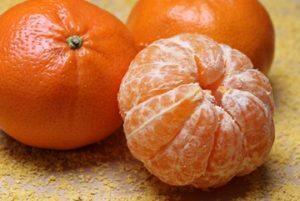 Once the mandarin orange is ready, break it into small enough pieces for your birds and then let them have it. Yes, Parakeets can eat mango. 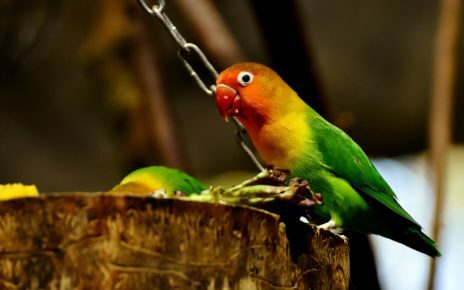 Feeding your parakeet mango will provide them with a good source of vitamin C and vitamin A. Preparing mango for your parakeet is pretty straight forward. First you will need to cut open the mango and remove the pit. While mango pits are not poisonous they are rather large, so it is usually best to remove them before serving them to your parakeet. Once the seed is removed cut the mango into bite sized cubes and serve them to your parakeet. Yes, Parakeets can eat oranges. As one of the more popular citrus fruits oranges are cheap and readily available, making them a great snack for a parakeet. In order to prepare an orange for your parakeet, first peel the skin from the orange and discard it. While the skin is not poisonous it could pose a choking hazard. After that separate the pieces of the orange and carefully remove any seeds. 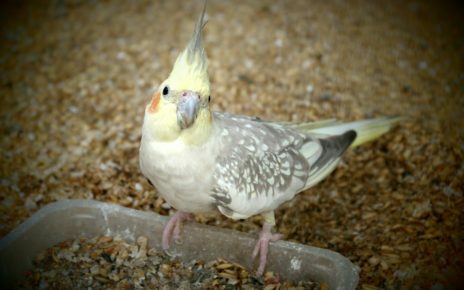 Orange seeds can cause cyanide to form inside a parakeets intestines, and should never be fed to your parakeet. Once the orange has been properly prepared, you can further break them apart into bit sized chunks and feed them to your parakeets. Yes, Parakeets can eat peaches. 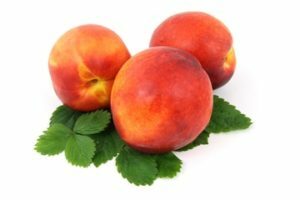 Feeding parakeets peaches can supply them with a good source of vitamin A and vitamin C. Peaches are easy to prepare for parakeets, start by cutting open the peach. 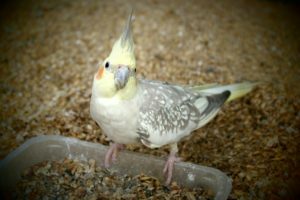 Then remove the pit since the pit is toxic to parakeets, because the pit contains a good amount of cyanide forming compounds. 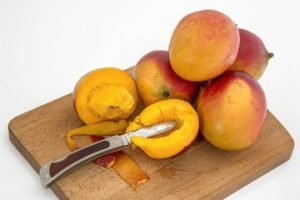 Once the pit has been discarded you can chop the peach into small pieces that easily fit in your parakeets mouth, and then serve it up and let them enjoy. Yes, Parakeets can eat Pears. Pears are a nice fruit to add some fiber to your parakeets diet. 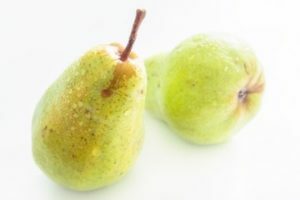 Ripe Pears will also provide your parakeet with a good source of vitamin C. Pears are a relatively easy fruit to prepare. First the skin should be removed from the fruit, since it can be a little touch for your parakeet to digest. Secondly all seeds should be removed, since they are poisonous if they are eaten by a parakeet. Then to make the pear easy to eat chop it up into bite sized pieces and serve it to your parakeet. Yes, Parakeets can eat pineapple. This tropical fruit can help bring some added variety to your parakeets diet. Pineapples are a very good source of vitamin C and B vitamins. Preparing a pineapple for your parakeet won’t be that different from preparing one for a human. 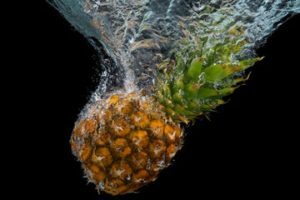 First remove the tough outer skin from the pineapple. Then proceed to chop the pineapple up into bite sized pieces. After that it is just a matter of giving your parakeets enough pineapple that they eat it all in one sitting. Yes, Parakeets can eat Plums. Plums are a very nutritious and readily available fruit you can easily feed to a parakeet. Feeding your parakeets plums will also supply them with a good source of vitamin C and soluble fiber. When preparing plums the only thing you will have to worry about is the pit. 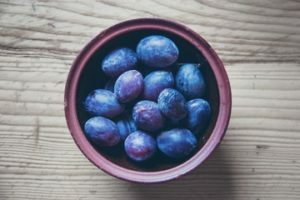 The reason being that plum pits are poisonous, since they contain cyanide forming compounds. Once the pit is removed, all you will have to do is chop the plum up into small pieces and serve it to your parakeet. Yes, Parakeets can eat strawberries. Parakeets love strawberries just like they love most other berries. 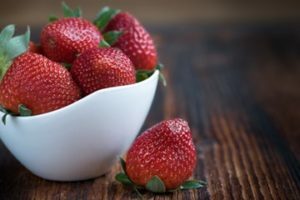 Strawberries are also a very rich source of vitamin C and folic acid. Strawberries will require very minimal preparation. Depending on their size you can either chop them up or feed them directly to your parakeet. Since strawberries tend to be a very soft fruit, even large strawberries should be easy for a parakeet to eat. And you won’t have to worry about the seed since they are very small and will easily pass through your parakeet. No, Parakeets shouldn’t eat tomatoes. Even though it might be possible to feed your parakeet small amounts of tomato it’s best to avoid it. 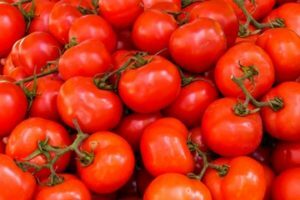 Tomato plants are a member of the very poisons night shade family of plants. All parts of the plant contain the toxic chemical called tomatine. This chemical is concentrated mostly in the leaves and stems but is also present in the fruit. The tomatine concentration in the fruit is much lower than the rest of the plant, which is why tomatoes are safe for humans to eat. But when it comes to other animals like parakeets it is better to be safe than sorry. If a parakeet does some how eat a small amount of tomato it shouldn’t cause any serious problems. The real problem would be feeding large amounts of tomato to a parakeet on a regular basis. 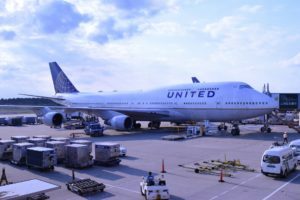 This could lead to a build up of the toxin, which could lead to some serious health problems. So for the safety of your parakeet it’s best just to avoid tomatoes all together. Yes, Parakeets can eat watermelon. If you have some extra watermelon from your summer parties you can definitely share some with your parakeet. 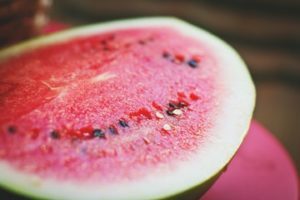 Watermelons are a good source of vitamin C and lycopene. When preparing watermelon for your parakeet the only major concern is the seeds. Even though watermelon seed are not poisonous, they can still pose a chocking hazard. If you have seedless water melon then you won’t even have to worry about that problem. Once all the seeds have been removed simply chop the watermelon up into small pieces and serve it to your parakeet.